$1,000 voucehr for $500 (50% off) for Wedding Package. Southern Hook Photography is an on location, natural light photography service located in Lexington, SC. Southern Hook Photography is driven by Christian values and delivering the highest quality images. We capture families, weddings, and special events in Lexington, South Carolina and all the midlands area. At Southern Hook Photography we offer a variety of services. We are truly dedicated to giving our clients the best experience from start to finish. It is not just taking a photograph its about building lasting relationships. We are located in Lexington, S.C. and would love to be apart of your big day. 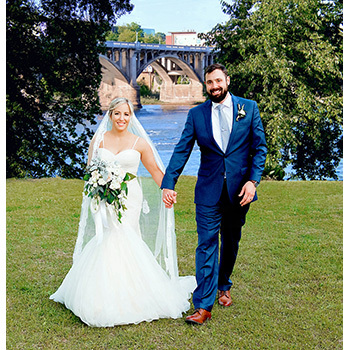 Southern Hook Photography is trusted by Riverbanks Zoo, Pawmetto Lifeline and families across the Midlands to capture the perfect picture, to tell the story of your event, wedding or family moments. Let us tell show your story in photographs. Valid for one Family Photography Session, up to 6 people. Upon purchase, please contact Michael Jones at 803-477-2501 to choose your date/time.